Title, The Sun is Shining & The Caravans are too! The Sun is Shining & The Caravans are too! 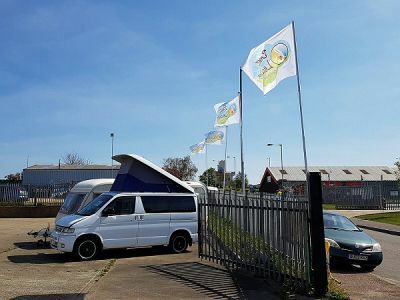 The sun is shining hard in glorious Norfolk and so are the caravans and motorhomes at Beez Leisure. We believe that we have the cleanest collection of used caravans and motorhomes in the whole of East Anglia if not the UK! We also have the keenest prices and our pencil is always sharp looking for that next deal. Being a family business we are all about family values, customer care and that our next customer is our next friend! Want to find out more? Pop over to see us and enjoy a coffee or cold refreshment with Nathan and Neil, we are more than happy to help you with any of your leisure needs. We offer sales, full servicing and repairs and also all the accessories and equipment you will ever need. With over 23 years industry experience we have a wealth of knowledge to help you make the right choices and decisions for all your caravanning and motorhoming needs. Pop in to see us today, we would love to see you but if you are travelling to view one of our lovely caravans or motorhomes please call us first to make sure it is still for sale - our stock sells and changes very quickly!